Use this website to quickly find the most important information about Los Angeles Airport - LAX: Flights (Departures, Arrivals), Parking, Car Rentals, Hotels near the airport and other information about LAX Airport. 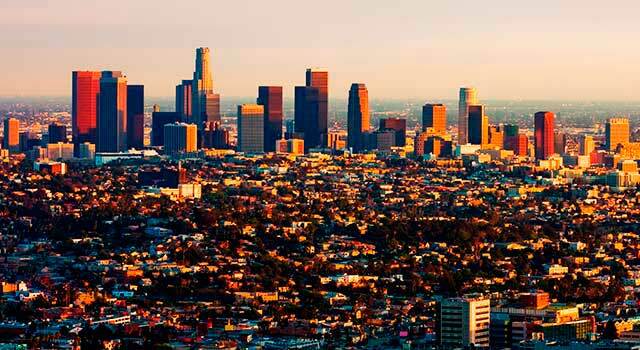 Plan your travel to Los Angeles Airport with the information provided in this site. Los Angeles Airport (IATA: LAX, ICAO: KLAX, FAA LID: LAX), also known as LAX Airport is the main international airport serving the Greater Los Angeles Area and also the state of California. Los Angeles Airport (IATA: LAX) is the busiest airport in California. The airport is located in the southwestern Los Angeles, 12 miles from Downtown Los Angeles. LAX Airport served 84,5 Million passengers in 2017. There are nine passenger terminals in LAX Airport. All terminals in LAX are arranged in "U" shape. The airport is located in southwestern Los Angeles, 12 miles (30 km) from Downtown Los Angeles. LAX features for its extension, 3,500 acres (1,416 ha), and for its four parallel runways, being the largest international airport in the west coast. Given the total number of passengers handled in 2017, LAX is the fifth busiest airport and the second busiest airport in the US. 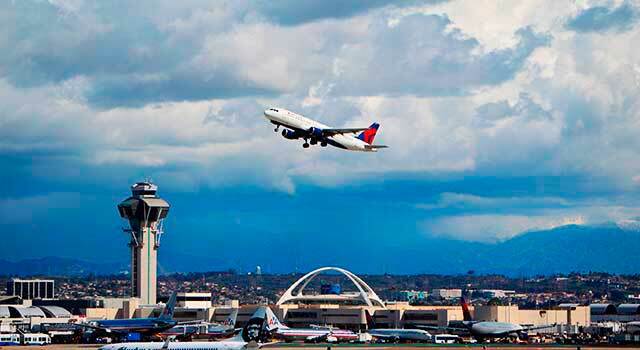 LAX serves as a hub for American Airlines, Delta Air Lines, Alaska and United Airlines. It also serves as a focus city for Air New Zealand, Qantas, Allegiant Air, Volaris, Spirit Airlines and Southwest Airlines. LAX Airport is the largest international airport on the U.S. West Coast and it is the major gateway to/from Latin America, Asia, Oceania and Europe. Los Angeles Airport is known as the premier “Gateway to the Pacific Rim” for its deep connections to Latin America and Asia specifically. In 2017 the airport handled 84,557,968 million passengers a year. This figure ranks it as the 5th busiest airport by passenger traffic worldwide and the 3th busiest one in the world in terms of aircraft movements. In 2017 LAX airport did over 700,362 aircraft movements. Los Angeles Airport consists of 9 passenger terminals. This terminals are arranged in the shape of the horseshoe (U). 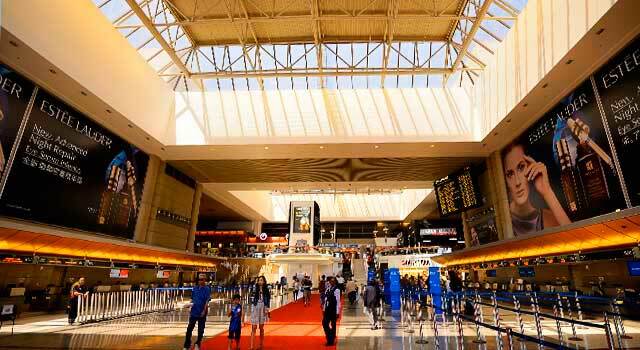 - Tom Bradley International Terminal (TBIT): Exclusively hosts those international flights that aren't hosted in Terminal 2. It has five levels. - Terminal 1: Exclusively used by Southwest Airlines. - Terminal 2: International flights, a hub for Virgin Atlantinc and Southwest international passenger check-in. - Terminal 3: Passenger check-in for Interjet, Avianca, Virgin Australia and Copa Airlines. It is Delta Airlines hub. 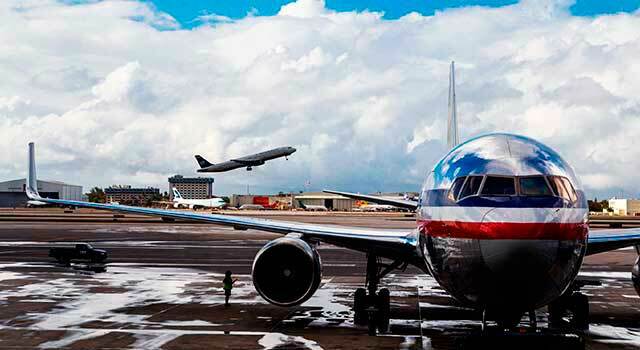 - Terminal 4: Exclusively used by American Airlines. - Terminal 5: Frontier Airlines and other carriers operate in Terminal 5. - Terminal 6: Alaska Airlines and many other airlines operate in Terminal 6. - Terminal 7: Exclusively used by United Airlines and United Express. - Terminal 8: Used for mainline flights by United Airlines and United Express. At Los Angeles Airport there are lots of restaurants, bars and cafés spread through the terminals and the different airport areas. Shops and boutiques are spread through the airport as well with known international brands and retails. To rent a car is one of the best options of transportation in Los Angeles. Check the different options here! LAX Airport connects their terminals by a Shuttle bus. - Shuttle bus: Terminals 4, 5, 6 7 and 8 are connected airside through an underground tunnel between Terminals 4, 5 and 6 and above-ground walkways between Terminals 6, 7 and 8. An airside shuttle bus operates among Terminals 4, 6 and the American Eagle Remote terminal. It is also available the transportation to/from LAX Parking Lot C (C Route). - Hotel & Parking Lot Shuttles: Please contact with your hotel. - Public Transportation: Metro Green Line Aviation Station offers free shuttle service. To pick it up go on the Lower/Arrival Level islands in front of each terminal, and board the "G" Shuttle. "C" shuttle is also available to get to the Metro Bus Center. From there, passengers can board city buses serving Los Angeles area. Other public companies provide transportation from LAX Airport. Check here the transportation page. 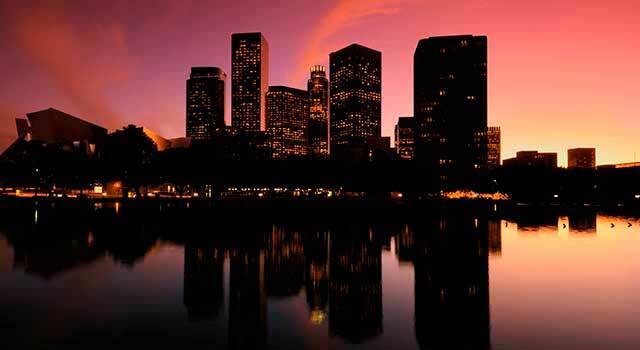 - Bus: Go to different destinations of Los Angeles and vicinities. Location: On the Lower/Arrival Level islands in front of each terminal. They are signalised as “FlyAway, Buses & Long Distance Vans”. There are different companies and routes. - Taxis: Taxis wait on the curbside on the Lower/Arrival Level islands in front of each terminal. The trip to downtown LA is about 30 minutes. Los Angeles International Airport (LAX) is the fifth busiest airport in the world and second busiest in the United States, offering 692 daily flights to 85 domestic cities and 928 weekly nonstop flights to 67 cities in 34 countries on 59 passenger air carriers. Police phone for insurance purposes: (424) 646-6100 / (424) 646- LOST (5678). Hours: 8am to 5pm from Monday to Friday. Closed during most holidays and festivities. Offices located at LAX Airport Police Lost & Found, 5600 W. Century Blvd., Suite 119, Los Angeles, CA 90045.